Musings 'n scribblings of a philanthrope .. : The six day Arab Israel war .. The six day Arab Israel war is considered to be one of the greatest defeats suffered by any country in modern day history. Taking one through those historical events, of the four great enemy countries of the small state of Israel, Egypt, Syria, Jordan and Iraq, by now two have been totally decimated, Syria has even been totally wiped out !! 20,000 casualties were inflicted on the enemy by Israel compared to 1000 Israeli casualties. A total of 68,000 sq km of land was captured from the enemies, Sinai Peninsula (60,000 sq.km) and Gaza Strip (365 sq.km) from Egypt, Golan heights, (1,800 sq.km) from Syria and West Bank from Jordan, (5,640 sq.km). In contrast, Israel as a whole is just 20,770 sq.km in area. It was the greening of the desert area by Israel that initially raised Arab envy. Israel is scantily populated with a population of just 9 million. For comparison, Israel is 5x state of Kerala in area with just a quarter of Kerala's population of 3.5 crores. 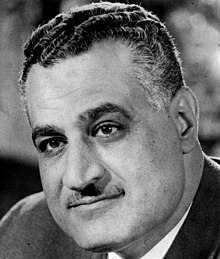 This six-day Arab Israel war saw the defeat of Arab nationalism and resignation of Abdel Nasser, President of Egypt. Arabs have ever since remained totally subjugated to Israel and scary of Israeli advances. Under UN intervention, the occupied Sinai peninsula of 60.000 sq.km was returned to Egypt, but the Gaza Strip, Golan heights and the West Bank, totally 7800 sq.km area, have been retained by Israel. This continues to be the bone of contention between Israel and Arabs to this day !! Click here for the video of the war reporting ..